The products shortcode is one of our most robust shortcodes, which can replace various other strings used in earlier versions of WooCommerce. For WooCommerce version 3.1 and lower, please use this document instead. The [products] shortcode allows you to display products by post ID, SKU, categories, attributes, with support for pagination, random sorting and product tags, replacing the need for multiples shortcodes such as: , [featured_products], [sale_products], [best_selling_products], [recent_products], [product_attribute], and [top_rated_products], which are needed in versions of WooCommerce below 3.2. Review the examples below. The following attributes are available to use in conjunction with the [products] shortcode. They have been split into sections for primary function for ease of navigation, with examples below. limit – The number of products to display. Defaults to and -1 (display all) when listing products, and -1 (display all) for categories. columns – The number of columns to display. Defaults to 4.
paginate – Toggles pagination on. Use in conjunction with limit. Defaults to false set to true to paginate . date – The date the product was published. id – The post ID of the product. menu_order – The Menu Order, if set (lower numbers display first). popularity – The number of purchases. rand – Randomly order the products on page load (may not work with sites that use caching, as it could save a specific order). rating – The average product rating. title – The product title. This is the default orderby mode. skus – Comma separated list of product SKUs. category – Comma separated list of category slugs. order – States whether the product ordering is ascending (ASC) or descending (DESC), using the method set in orderby. Defaults to ASC. class – Adds an HTML wrapper class so you can modify the specific output with custom CSS. on_sale – Retrieve on sale products. Not to be used in conjunction with best_sellingor top_rated. best_selling – Retrieve best selling products. Not to be used in conjunction with on_sale or top_rated. top_rated – Retrieve top rated products. Not to be used in conjunction with on_saleor best_selling. attribute – Retrieves products using the specified attribute slug. terms – Comma separated list of attribute terms to be used with attribute. AND – Will display products from all of the chosen attributes. IN – Will display products with the chosen attribute. This is the default terms_operator value. NOT IN – Will display products that are not in the chosen attributes. visible – Products visibile on shop and search results. This is the default visibility option. catalog – Products visible on the shop only, but not search results. search – Products visible in search results only, but not on the shop. 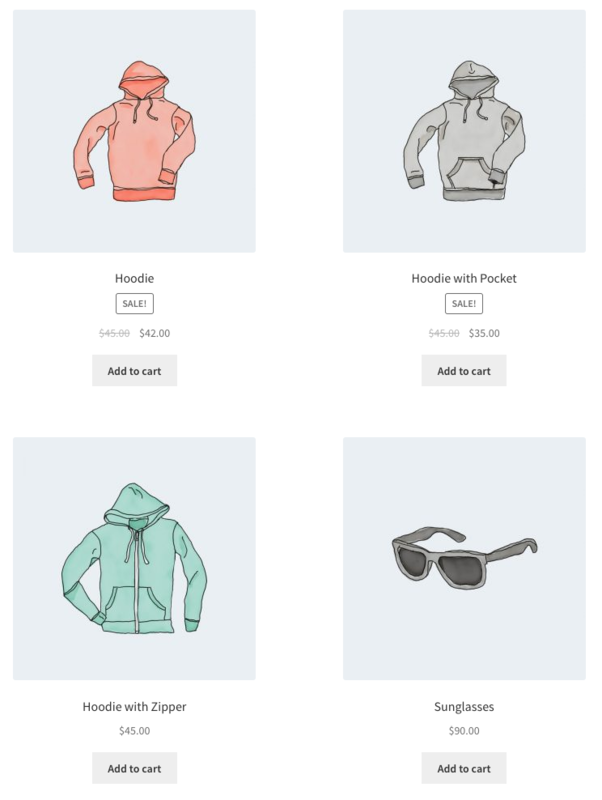 hidden – Products that are hidden from both shop and search, accessible only by direct URL. featured – Products that are marked as Featured Products. category – Retries products using the specified category slug. AND – Will display products that belong in all of the chosen categories. 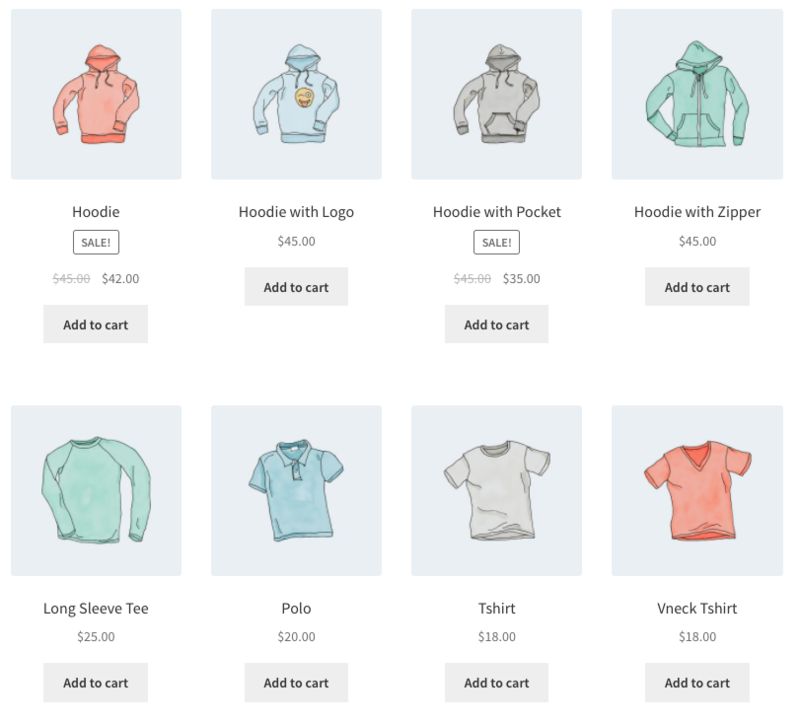 IN – Will display products within the chosen category. This is the default cat_operator value. 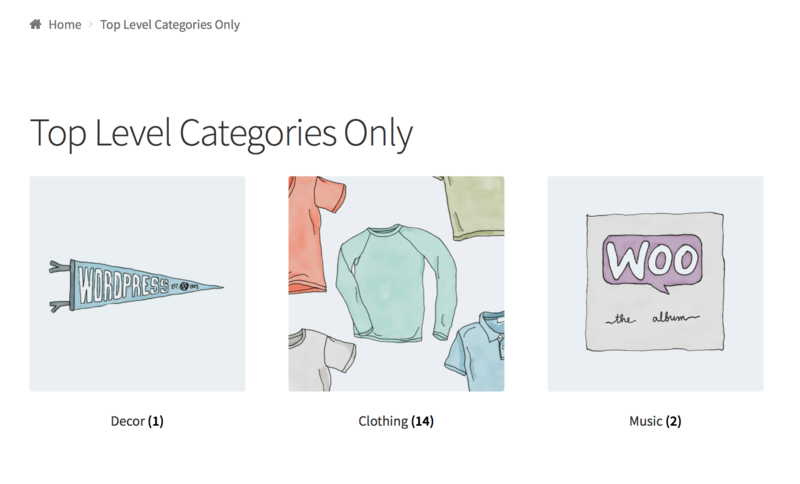 NOT IN – Will display products that are not in the chosen category. ids – Will display products based off of a comma separated list of Post IDs. skus – Will display products based off of a comma separated list of SKUs. These attributes cannot be used with the “Content Attributes” listed above, as they will likely cause a conflict and not display. You should only use one of the following special attributes. best_selling – Will display your best selling products. Must be set to true. on_sale – Will display your on-sale products. Must be set to true. These two shortcodes will display your product categories on any page. [product_category] – Will display products in a specified product category. [product_categories] – Will display all your product categories. In the following scenarios, we’ll use an example clothing store. This shortcode explicity states four products with four columns (which will be one row), showing the most popular on-sale items. It also adds a CSS class quick-sale, which I can modify in my theme. This shortcode says up to four products will load in two columns, and that they must be featured. Although not explicitly stated, it uses the defaults such as sorting by title (A to Z). I want to display the newest products first – four products across one row. To accomplish this, we’ll use the Post ID (which is generated when the product page is created), along with the order and orderby command. Since you can’t see the Post ID from the frontend, the ID#s have been superimposed over the images. Alternatively, I only want to display products not in those categories. All I need to change is the cat_operator to NOT IN. Note that even though the limit is set to 8, there are only four products that fit that criteria, so four products are displayed. Each of the clothing items has an attribute, either “Spring/Summer” or “Fall/Winter” depending on the appropriate season, with some accessories having both since they can be worn all year. 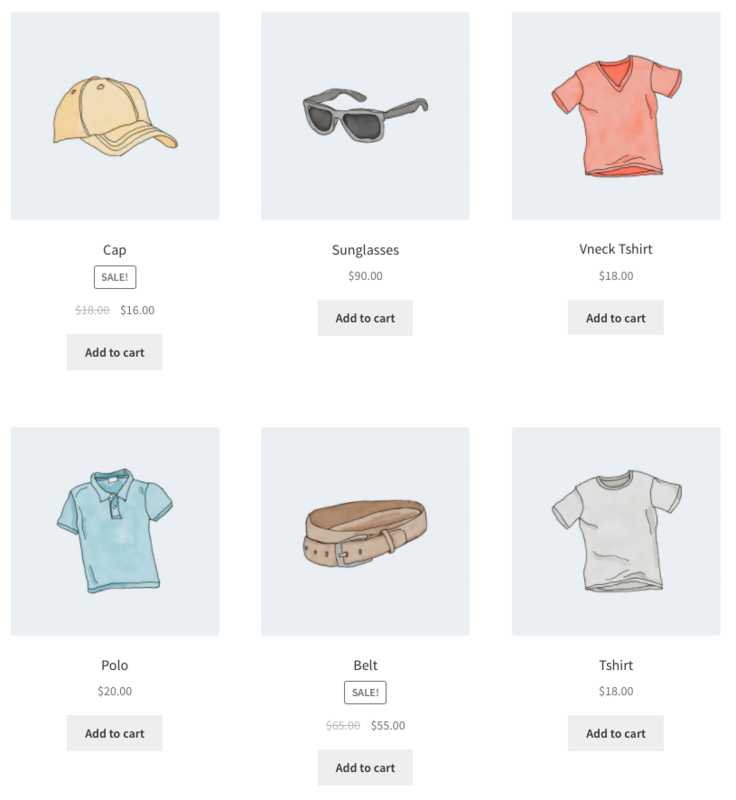 In this example, I want three products per row, displaying all of the “Spring/Summer” items. That attribute slug is season, and the attributes are warm and cold. I also want them sorted from the newest products to the oldest. Note that by using NOT IN, I exclude products that are both in “Spring/Summer” and “Fall/Winter”. If I wanted to show all cold-weather appropriate gear including these shared accessories, I would change the term from warm to cold. Imagine you only wanted to show top level categories on a page and exclude the sub categories, well it’s possible with the following shortcode. Note: We are unable to provide support for customizations under our Support Policy. If you are unfamiliar with code/templates and resolving potential conflicts, you can contact a WooExpert. 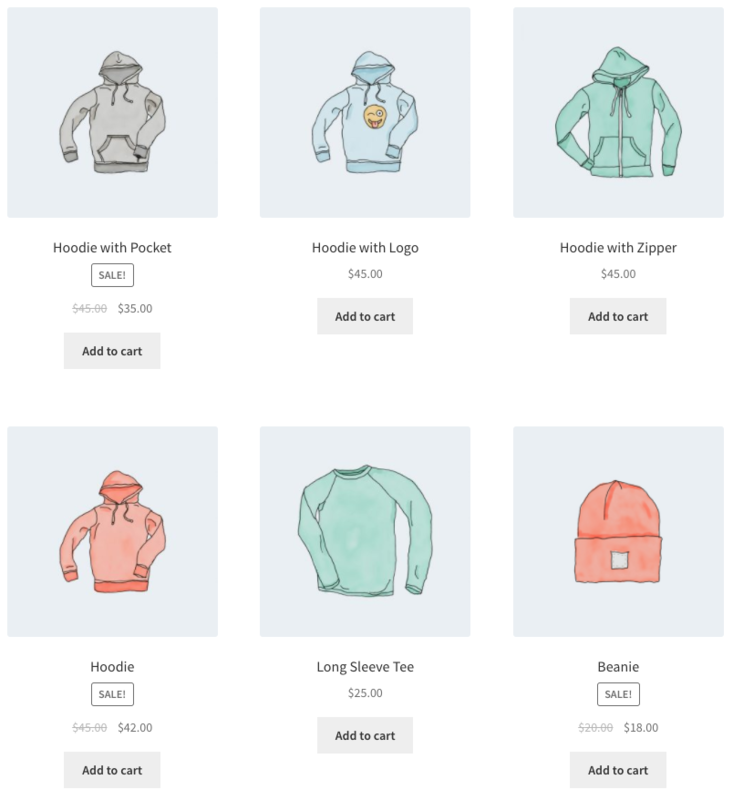 Note: the ‘limit’ shortcode argument will determine how many products are shown on a page. This will not add pagination to the shortcode. [shop_messages] allows you to show WooCommerce notifications (like, ‘The product has been added to cart’) on non-WooCommerce pages. Helpful when you use other shortcodes, like [add_to_cart], and would like the users to get some feedback on their actions.